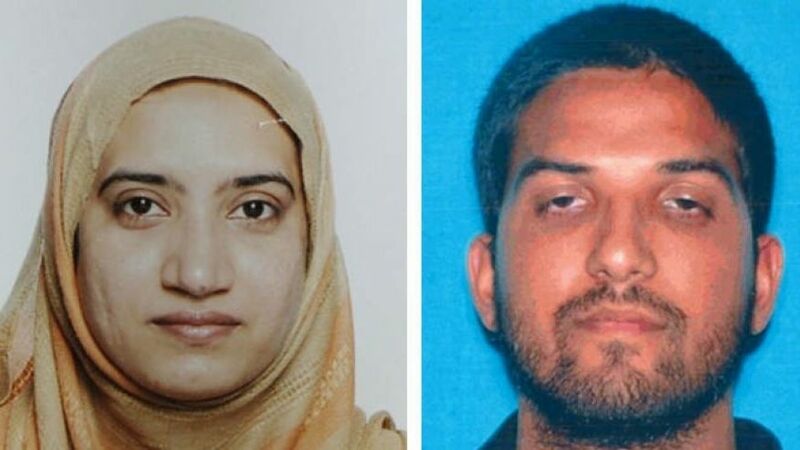 More details have emerged about San Bernardino attackers Syed Farook and Tashfeen Malik. They began their relationship online and then met at the 2013 Hajj pilgrimage, according to a visa application. According to Syed Farook’s fiancée visa application, he and Tashfeen Malik made contact on a website, emailed and then decided to meet. Their parents met in Mecca, Saudi Arabia, during the annual pilgrimage. Syed Farook and Tashfeen Malik got engaged the day their parents met and planned to marry within a month of Malik arriving in the US. The US House Judiciary Committee has released visa documents, detailing Tashfeen Malik’s processing into the US, after some lawmakers criticized the progress. Authorities say the two opened fire at a work luncheon for Syed Farook’s colleagues in the San Bernardino public health department on December 2, killing 14 people. Hours later, police tracked the couple to their home, and they died in a shootout. The mass shooting was the deadliest terrorist attack in the US since 9/11. Tashfeen Malik’s file has copies of her Saudi passport stamps and visas, along with a statement from Syed Farook detailing how they met and when they planned to marry. Her visa issuance is still the subject of investigation. She was born in Pakistan but grew up in Saudi Arabia, returning to Pakistan to pursue a pharmacy degree at Bahauddin Zakariya University. Tashfeen Malik, 29, pledged allegiance to ISIS on the day of the shooting. Syed Farook, 28, had worked for the San Bernardino County Department of Public Health for five years and the couple had just had a baby. They left the child with its grandmother the day of the shooting. He prayed daily at the Islamic Center of Riverside, California, but no one seemed to think he had extremist views. Tashfeen Malik’s admission to the US has sparked debate among US lawmakers about immigration and visa processes. Congressman Bob Goodlatte, a Virginia Republican, said immigration officials did not “thoroughly vet” Tashfeen Malik’s application. He said the application did not show sufficient evidence the two had met in person, and that more evidence had been requested, but it was not provided and she still had her visa approved. The State Department has said that “all required procedures were followed in the K-1 visa case for Ms Malik”.